No matter if you have had your eye on a new Ford Edge, a new Ford Explorer, or even a used car you can save with a trade in at Haggerty Ford! 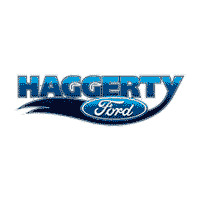 Get a reliable estimate on your used car by using the vehicle trade-in value calculator at Haggerty Ford. This way you have a clear understanding of your budget and know what to look for when you arrive at our West Chicago Ford dealership. Plug in basic vehicle information, such as your make, model, VIN, and some other necessary fields. A friendly and knowledgeable team member will then get in touch with you. Have additional questions? You can learn more about the trade-in process and how we determine your used car trade-in value by contacting us today. Otherwise, you can get right to determining your car’s trade-in value and explore our inventory of new Ford models for sale in West Chicago!